Kristen Elise Ph,D. : Write a Review - Win $50! Write a Review - Win $50! I'm giving away a $50 Amazon gift card to one lucky winner. Here's how it works. 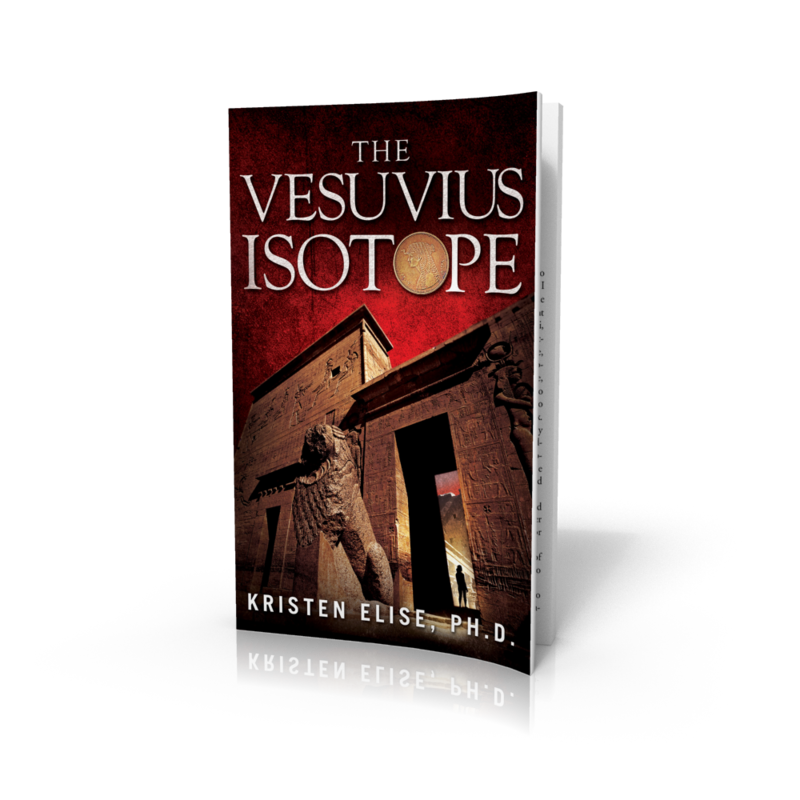 To enter to win, you must post an honest review of The Vesuvius Isotope... somewhere. You can post your review on Goodreads, Amazon, Barnes and Noble, iTunes, Kobo, Shelfari, your own webiste... I'm not picky; it just has to be somewhere on the Internet. Then e-mail me to let me know that you've posted it. When the 100th review is posted, all reviewer names will be placed into a hat and I'll randomly draw the winner. For those of you who have already posted a review, you're already entered! You don't need to do anything further - except, of course, recommend the novel to your friends. Here's the catch. Your review MUST demonstrate that you actually read the book, and it is solely at my discretion to ascertain this. If you write, "great book," that doesn't count. And if you write, "horrible book," that counts even less :) If you don't want to post a spoiler (and, please don't...) you can go ahead and post a generic "great book/horrible book" review, but then e-mail me and say something about the book to let me know you've read it. If you have any questions, please feel free to e-mail me or post your question below in the comment box for all to see. After the 100th review shows up somewhere in cyberspace, the contest ends. So don't wait!